For comparison, Can-Am kept their long travel 4-seater slightly below 30K at $29,899, while $30,499 Polaris went slightly above. What you get for the extra $600 on the surface is electronically controlled Fox Shox, 32-inch, 8-ply ITP tires and full doors. Underneath, you get a chassis with stronger double shear suspension pick up points, beefed up A-arms, trailing arms and radius rods. What you don’t get are beadlock wheels, which come standard on the high end Can-Ams. 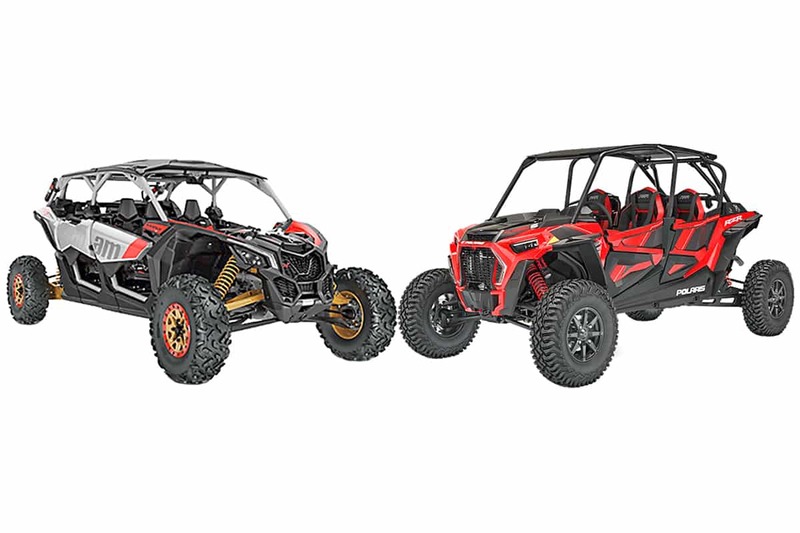 You can read all about the new 2019 Polaris RZR XP Turbo S-4 HERE! You can read about the complete 2019 Can-Am Line up HERE! ** Polaris factors in “tire flex” to calculate wheel travel and possible ground clearance figures for this machine.